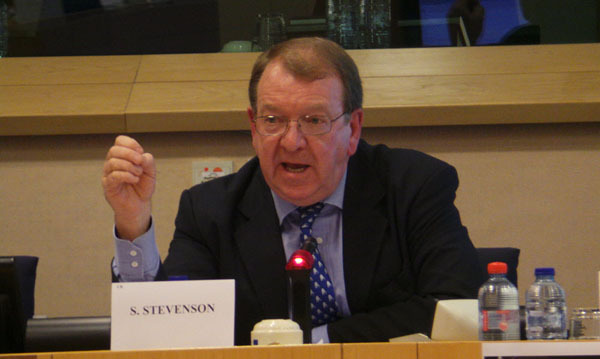 Struan Stevenson, a former Member of the European Parliament (MEP) for Scotland and coordinator of the Campaign for Iran Change (CIC), published a piece in the Riyadh Daily news outlet on the shifting global attitudes towards the Iranian regime. 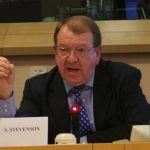 The former MEP outlined how recent state-sponsored terror attacks on European soil have garnered the Iranian regime opponents in the international community. He also traces the development of the protest movement within Iran over the past twelve months and illustrates the increasing uncertainty surrounding the mullahs’ future in power. “The uprising, involving hundreds of thousands of Iranian citizens, has raged for more than 13 months in towns and cities across Iran,” he begins. All walks of Iranian life have risked their lives and their freedom to exercise their right to protest the regime’s corruption, pillaging, and brutal use of violence. Protests have racked Iran’s key industries as truck drivers, pensioners, teachers, factory workers, farmers, and investors have taken to the streets to protest the regime’s abuse of power and economic mismanagement. Instead of taking steps to remedy the dire economic situation, the regime has deployed agents and used its Islamic Revolutionary Guards Corps (IRGC) to quell the protests. Struan asserts that the regime has murdered dozens of protestors and arrested “over twelve thousand,” “but the Iranian people have lost their fear. They are openly demanding regime change,” he added. Iran’s economy has been in freefall as the Iranian regime and its Supreme Leader Khamenei has funneled millions of dollars abroad to foreign militias and terrorist groups across the Middle East. The IRGC and Quds Forces are active in Syria, Iraq, Yemen, Lebanon, and Gaza. In Lebanon alone, the regime pours some $750 million annually, much of it flowing into Hezbollah’s coiffures. The Iranian people have made it clear that they will no longer foot the bill for these foreign ventures. As its grip on power weakens, the regime has responded by lashing out. In 2018, the mullahs orchestrated a string of terror attacks on European soil against the Iranian opposition. In June, Belgian authorities detained a Belgian-Iranian couple travelling to Paris in a car laden with homemade explosives. An Iranian diplomat based at the Iranian embassy in Vienna was found to have provided the couple with the explosive material. There were similar plots planned against the opposition group, the People’s Mujahedin Organisation of Iran (MEK), in the US, Albania, Denmark, Bulgaria and the Netherlands. The moves left Iran further isolated on the international stage. In December, the Albanian government expelled the Iranian ambassador to the country on the grounds that they posed a significant security risk to the country. “They had been openly plotting assassination and terror activities targeting the 2,500 MEK opposition members” living in the country, Stevenson writes. The move earnt the Albanian president, Edi Rama, praise from President Trump, who hailed his bravery in the face of Iranian aggression. In a display of Iranian isolation, the US government has scheduled a conference to take place in Warsaw in February. More than 90 world leaders will meet in Poland to discuss the Iranian terror campaign and the best way to deal with the Iranian threat. Meanwhile, the Iranian opposition is growing stronger. The MEK is present in “virtually every town and city in Iran,” Stevenson writes. These members coordinate protests, distribute leaflets, and world tirelessly opposing the mullahs’ cruelty and corruption in an effort to secure a free Iran.